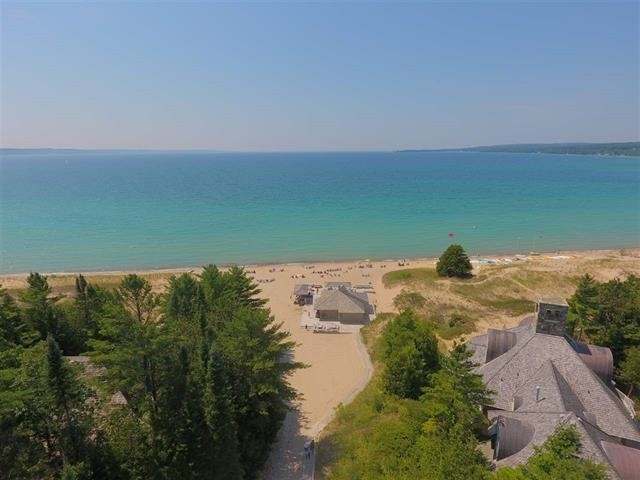 Wonderful opportunity to live in one of Harbor Springs beautiful and well established beach front communities. Designed by renowned Architect Robert Saarinen Swanson, this post and beam home is situated on 1 and 12 Lots. The structure features a spectacular main level living area with abundant light, privacy and views of the surrounding 113 acre Menonaqua Woods Nature Preserve. Outstanding accessibility with foyer, great room, two master suites and garage all on the 2,060 square foot main level. Call for your tour today!! !